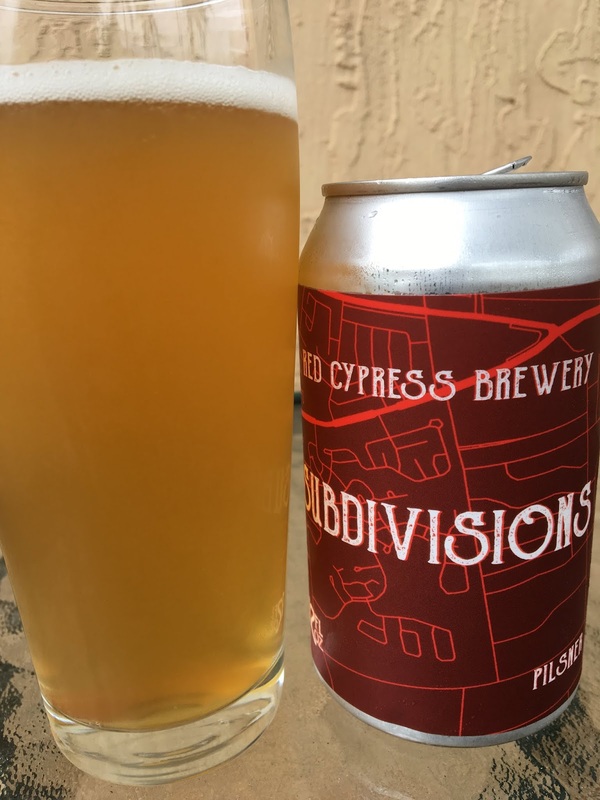 Winter Springs Florida's Red Cypress Brewery has a few beers distributed in Miami recently. Subdivisions Pilsner was the first one I checked out, with the can displaying a typical map of suburban community subdivisions. Grainy aroma with some light honey. Soft flavors, again with grain and honey standing out. Lightly herbal with some nuttiness. Sweet in the beginning but enough bitter hint to balance that out (though I did want a little more of that). Enjoyable. Pretty nice.